Ships from and sold by IFL-Store. Having once graced the cover of the legendary Time Magazine, Aether AG now takes a big step forward to make your journey even more rewarding. Aether AG 70 is designed for multi-day backpacking and carrying significant loads. The backsystem combines the comfort and ventilation of Osprey's multi-award-winning AG AntiGravity backsystem with the custom-mouldable fit of Osprey's next generation IsoForm hipbelt. 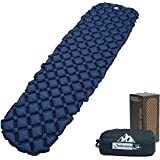 A sprung mesh lumbar area, combined with stiff load bars integrated into the harness allows for impressive load transfer through the large muscle groups in the legs, enabling an even and comfortable backpacking experience. Organisation and accessibility are key during long adventures. These packs stand out with multiple access points including the J-Zip front panel access into the body of the pack, as well as sleeping back compartment with wide zip entry an internal divider. The lid not only has multiple pockets but is also removable, offering great versatility. The top of the pack remains protected without the lid thanks to the deployable FlapJacket top cover. An integrated rain cover, Stow-on-the-Go trekking pole attachment, InsideOut compression straps and multiple attachment points allow you to carry your gear any way you like. Aether AG 70's capacity allows for plenty of gear to be carried with ease on extended trips. PLEASE NOTE - This is European Version of the backpack and DOES NOT have the removable lid that turns into a day pack. The lid is removable to reduce weight/size, but is not convertible to a day pack. Aether AG provides uncompromising comfort, ventilation and stability for your multi-day adventures. 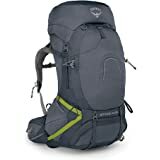 5.0 out of 5 starsPerfect price for a version WITHOUT the daypack. I just received this. This is clearly the version with the lid WITHOUT the Daypack and instead a rain cover. 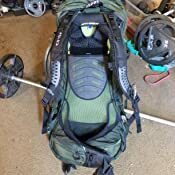 Personally, I myself do not find the daypack all that great. It was small and just did not fit me well. 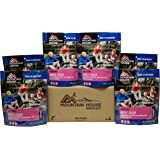 Spend $20-30 and you can find any number of better built light-weight daypacks that fold down to an almost nothing travel size. 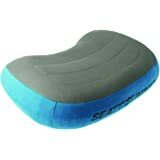 You can then use it with this backpack or put it in a suitcase for when you travel. I would have had to buy a separate rain cover for about $40 on top of spending almost $300 for the U.S. version of this backpack. So for the $150 for this European version, it is AN AMAZING PRICE! 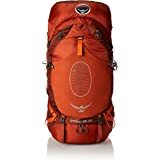 I ordered this Osprey Aether 70L around mid-day Friday and it was too late to send it out on Friday. It got put on an airplane in the UK on Monday (DHL) and less than 17 hours from departing their airport, it was at my front door on Tuesday! The backpack is an Osprey Aether 70L Adirondack Green. 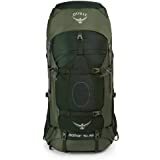 It does Not have the Removable top-lid that converts to the DayLid daypack, that Osprey version is only sold in the US Version. 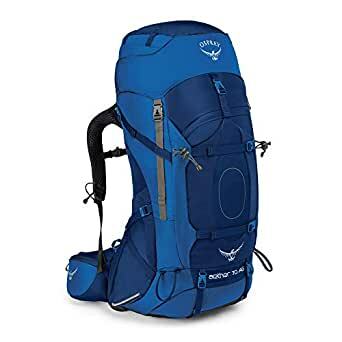 This is the European version and instead it has an Osprey rain cover, of which, costs about $38 on Amazon in the States. The only difference between the US and European versions is the removable top daypack versus the rain cover, as well as, the nearly $100-$125 dollar difference in price! 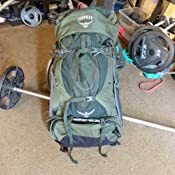 Everyone who purchases an Osprey backpack in the States complains about Osprey not including a rain cover and you will definitely need one if you are out hiking, so there goes another $38 plus the extra $100 to $125 dollars for the US version. YIKES!! Yet, the rain cover is included with the European version. I prefer to have the rain cover and save $100 to $125 dollars and pick up a daypack somewhere else if I ever need one. The backpack is Great! It is everything as described on youtube and the numerous hiking websites. I hope to be hiking the PCT in 2019, next year. 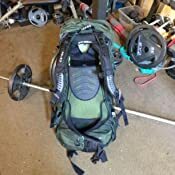 I think this backpack is more than sufficient to get it done, although it is heavier than most backpacks the comfort and adjustability is what has swayed me in that direction. 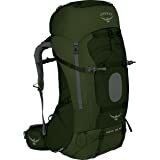 I also have looked at the Osprey Xenith 75L and 88L and still deciding about that. The suspension systems are different between the Aether and Xenith and one might work better than the other. I am 59 and will be 60 next year, so comfort is at the top of my list. Therefore, ultralight is Not for me! I'll update as the months move on with how this backpack is working out for me. Overall, this is an Outstanding Backpack and an Outstanding Price! 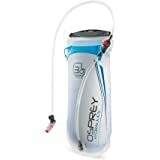 Osprey's warranty is good here in the States, as well as, in the UK. This backpack has the moldable hip belt and that can be done here in the States for free at any of the dealers that have the oven to shape and form the hip belt. You should receive it in less than three (3) working days if you live in the US. If you are happy with just the rain cover you can save $100 to $125 easy by purchasing from 'Activ Instinct'. At least, that is what I have encountered! 5.0 out of 5 starsScrew the daypack, this bag is awesome. As far as the actual backpack goes this is a great pack. It is a real osprey it isn't some fake like other reviews are claiming. I just did a hike 15 miles with 40 pounds in it. As promised the load was very secure and I barely felt the weight on my shoulders. So the newer/ american model of this bag has a top lid that when flipped inside out turns into a small little backpack. This one doesn't it comes with a rain cover. 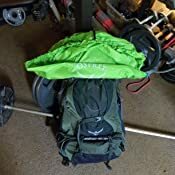 The rain cover itself is another $40.you're already getting a really good bag for a lot cheaper plus you get the rain cover. 4.0 out of 5 starsNot bad but could use some tweeking on the design. Took this pack out on a steep hike last weekend. I hope it just needs a little break- in time. It did rub a mark on my skin at the place where it rides above the pelvic bone. I might try to remove the plastic sheet in the belt. I have seen where you can heat them up and form fit but they just seem so stiff. Overall the pack is very sleek and the fact that it doesn't have pockets all over the outside is why I bought it. I like that stuff on my hunt packs but not on a travel pack. Very tidy! I got the Euro version without the day pack and I like the mesh pocket for very personal items like I.D. and money under the lid. This one has click points on it that it doesn't use. No strap or anything that they would receive, as if it's missing something. I do wish it had a better place to put the hydration hose. The one it has is too far down the shoulder strap and non- adjustable. Most expensive pack I own.